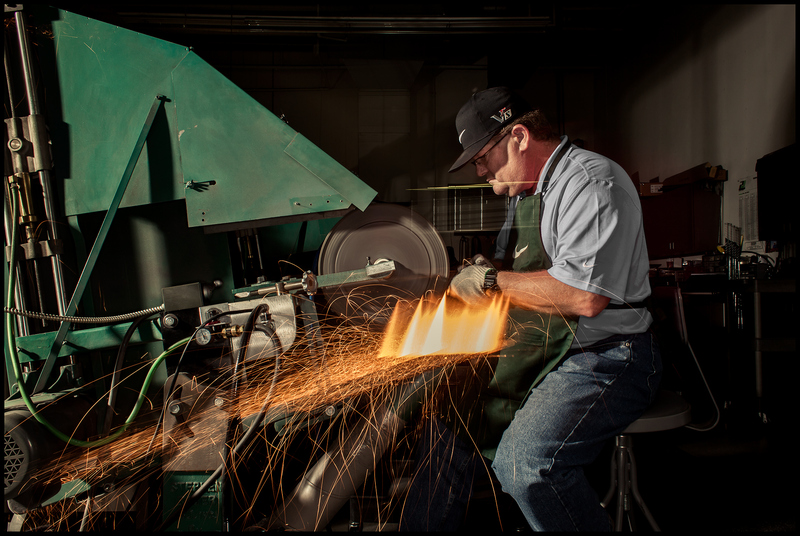 When building a set of golf clubs for a Nike athlete, every detail counts. So when a set of raw tooling returns to the Oven, master model maker Mike Taylor heads to his grinding wheel where he'll spend countless spark-filled hours making fine adjustments to fit an athlete's style of play. "Each athlete has different needs and specifications for loft and such things," says Taylor, who's shown here polishing down a set of heads for Tiger Woods. "And with that wheel, I can modify a club so players can hit certain shots in certain conditions on any course."